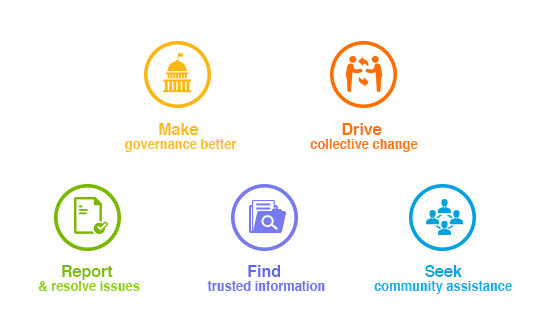 New Delhi, India, December 20, 2015 – LocalCircles (www.localcircles.com), India’s leading citizen engagement platform today announced the roll out of an expanded national online community on the cause of Cancer. 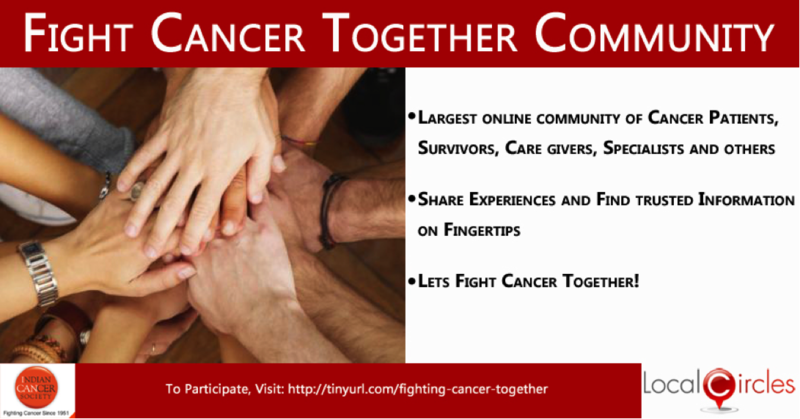 This, one of its kind online cancer community in the world, brings together cancer patients, cancer patients and their families, cancer experts, care givers, support organizations and the citizens of the country thereby creating an online community ecosystem to fight cancer, create awareness, sharing experiences, learning from each other and taking preventive measures to avoid cancer. Indian Cancer Society will serve as the founders for the circle while LocalCircles will make the circle available to all its existing members as well as anyone in India looking for cancer information and assistance. "When someone is diagnosed with cancer, they or their family have a difficult time finding trusted information ,especially getting access to other people who are going through a similar condition or those who have won the battle against cancer”, said Sachin Taparia, Chairman and CEO, LocalCircles. “With this circle, cancer patients and their families instantly have access to a community which is a source of trusted information as well as provides a support network to share experiences, exchange notes or meet up”, continued Taparia. "Knowledge and experiences of cancer survivors, cancer experts, care givers can be very beneficial for current patients fighting cancer and for the citizens in becoming aware about Cancer", said Jyotsna Govil, Hon. Secretary, Indian Cancer Society Delhi. "In addition to this, the circle will also be utilized by the Indian Cancer Society to outreach and interact with the community, share information, organize events and to share Thought Leadership on the subject" Govil continued. About Indian Cancer Society - Indian Cancer Society was established in 1951 as India's first voluntary, non-profit, National Organization for Awareness, Detection, Cure and Survivorship of those affected with this disease. ICS has been doing sterling work in fighting cancer across India. It has been and continues to be the beacon of hope for thousands of underprivileged cancer patients. The society is entirely dependent on public support for its various activities concerned with financing the treatment and rehabilitation of cancer patients and for spreading cancer awareness.